Blockchain and Artificial Intelligence work together beautifully. While the former is good for storing and validating records of every kind, the latter really shines in analyzing big chunks of data, defining patterns and facilitating decision-making. The combination of the two can be particularly beneficial for the blockchain analytics sector. For instance, it can automate the painstaking manual work that is currently required to give meaning to countless sheets of data extracted from major blockchain explorers. Other benefits of artificial intelligence related to blockchain include pattern detection, advanced statistics, and smart flagging/alert systems. One of the limitations of existing wallet explorers is that they provide source blockchain data but without further interpretation. This tells us nothing unless we are prepared to work manually to understand how a certain address is behaving. Further Google searches and/or Excel processing is needed, as is the need to dig into each related address in a separate tab. Then there is the probability of mistakes (we are all humans, after all). AI can facilitate blockchain analysis by using algorithms to go beyond just one address or the small range of transactions related to it. AI can go as deep and in whichever direction is desired. The result of the analysis can reveal connections that a human eye would not be able to see. AI in blockchain can be applied very effectively in the area of pattern detection. 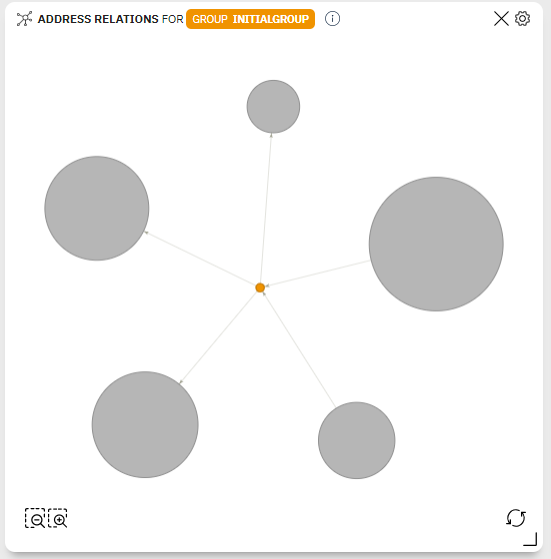 As shown in the image above, bubbles are used to intuitively communicate how the searched address has been interacting with other addresses, and which relationships are worthy of further analysis by a human investigator. Machines have long been used in the global financial sector, known for the immense volume of data generated daily. This was particularly evident with the explosion of high-frequency trading, whereby algorithms were trained to make instantaneous buy or sell decisions in place of humans. It is believed that this practice makes up 90% of the trade volume on Wall Street nowadays. AI and Machine Learning promise to be an equally good fit for crypto markets. Its fast and accurate algorithm-driven decisions may become the key to successful trading in light of high volatility. Furthermore, crypto traders can use Natural Language Processing (NLP) for the real-time tracking of important crypto news, such as regulatory crackdowns or a bear market. 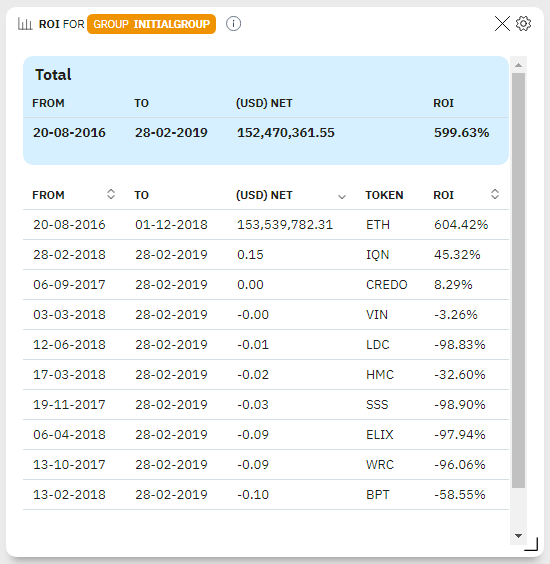 One of such applications of AI could be a ROI widget that sources the whole transaction history of a selected blockchain address and shows the dynamics of gains and losses related to its assets. This goes beyond a simple record of historic values and lays the foundation for faster decision-making, potentially evolving to full automation, similar to high-frequency algorithms used on Wall Street. Banks and other financial institutions typically use a set of rules for flagging suspicious accounts or activities. As a rule, there are triggers such as exceeding a preset money limit per transaction, or regularly receiving money from a source marked suspicious. These actions are automated until a high-level concrete decision needs to be made, such as blocking an account or reversing a transaction. An analogous approach can be applied to cryptocurrencies. For instance, any existing evidence related to crypto scams can be collected in one database. This can be used to prime artificial intelligence to recognize and prevent fraudulent activities. If enough data is collected, machines, for instance, developed with the help of a blockchain analytics tool ORS Cryptohound can easily and effectively detect unusual patterns that are not always apparent to the human eye. This can be achieved by using a statement widget that records all dates, balances, tokens and in/out movements. Based on this data, a wallet’s behavior over a selected period can be explored and used for detecting any suspicious activities. With further development of AI algorithms, gathered data can automate the flagging of any suspicious crypto movements. Artificial Intelligence is a universal technology that can bring substantial benefits to blockchain-based applications. In particular, it can enhance the current state of blockchain analytics by substituting manual routine with smart algorithms. If enough data is collected, machine learning can bring the best practices from the financial world to cryptocurrency markets. Furthermore, it can detect patterns that fall beyond the attention of even the most scrupulous investigators. AI has the potential to empower automated crypto trading, thanks to fast algorithm-based decision-making. Finally, smart machines can become a truly indispensable tool for detecting and even preventing — in the most impartial manner possible — suspicious blockchain activities.